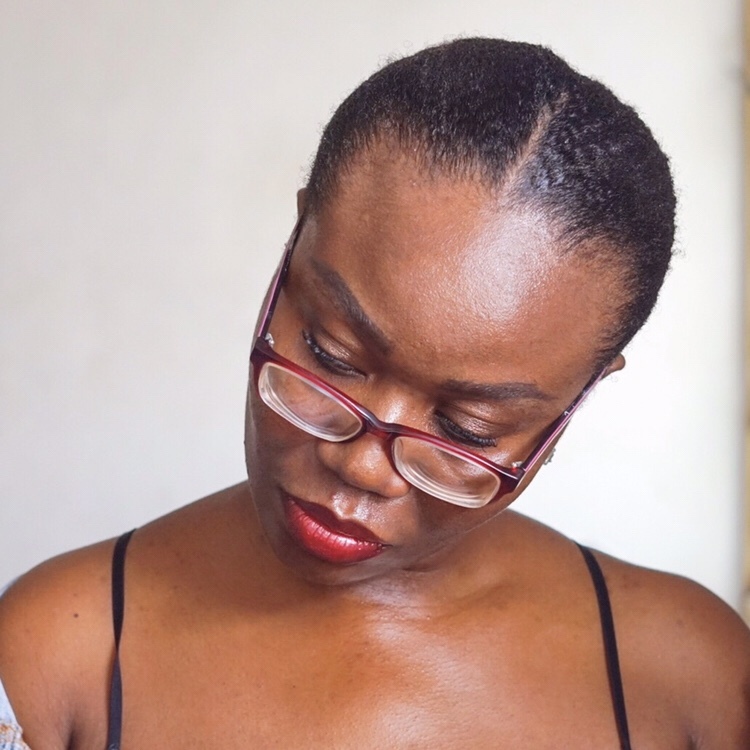 Ajali handmade naturals is an all-natural Nigerian brand I came across about 2 years ago after I reached out to the founder concerning my skin issues (acne and inflammation) and she gave me really good advice. I recently just purchased the Hair and Body Butter Souffle Radiant glow, Raw sugar polish radiant glow and Vanilla and Lime lip scrub also because I’ve heard a lot about her products and I wanted to try out the claims on them. Hair and Body butter souffle Radiant glow: Says to moisturize and protect with our signature blend of pure Shea and cocoa butter, whipped with a blend of luxury oils for a lighter-than-air consistency. Shea butter, Cocoa seed butter, Coconut oil, Olive seed oil, Aloe vera juice, Sweet almond oil, Argan oil, Tea tree oil, Vitamin E oil, Water, Orange essential oil, Lemon essential oil. When I received this product, it was in liquid form so I had to store in the fridge to get it back to semi-solid form that’s why its looking a bit weird. To be honest, It really is lighter than air! It feels so light on my skin and immediately makes it skin soft and glow after application. It gives my skin this beautiful velvety finish. It has abstrong lemon grass scent which I absolutely love and when I use it, it doesn’t leave me sticky and prone to sweat. By the way, I have dry skin on my legs and feet and it moisturizes them really well. Raw sugar body polish radiant glow says to pamper , polish and nourish your skin with raw turbinado sugar enriched with organic essential oils. Raw Turbinado Brown sugar, Olive fruit oil, Sweet almond oil, Argan oil, Coconut oil, Shea butter, Jojoba oil, Tea tree oil, Vitamin E oil, Orange essential oil, Lemon essential oil. This product is really a pampering one. As in, scrub your skin and feel like a million bucks. It’s extremely moisturizing I tell you and if you have dry skin, this is the product for you. The very first day I used it, I came out of the bathroom with my skin feeling pampered, soft and instantly glowing. It’s a really good scrub. Just like the body souffle, it has this lemon grass scent. Honestly, I’d prefer getting a scrub with this product at a spa than in my bathroom because, by the time I’m done, my bathroom floor is all slippery and stuff because of the oil. Vanilla and Lime lip scrub: Say goodbye to chapped lips forever with our all-natural lip scrub. Ingredients: Granulated sugar, Coconut oil, Vitamin E oil, lime essential oil, vanilla essential oil. I never expected this scrub to actually scrub my lips so well. it leaves it soft and moisturized while getting rid of my chapped lips. However, I may not repurchase because i just sort of prefer using a toothbrush to exfoliate my lips. However for the souffle and the sugar scrub, I will. Visit her website here here to find our more about Ajali products. You can shop all three products individually in the links above.